According to polls the majority of Americans and many other societies are in favor of change. An estimated 20 percent believe the States are on the right track, but when it comes to health care, environmental reform, and economic division, the masses believe change is imperative. But how far are many willing to go in order to live a more sustainable, connected, and happier life? 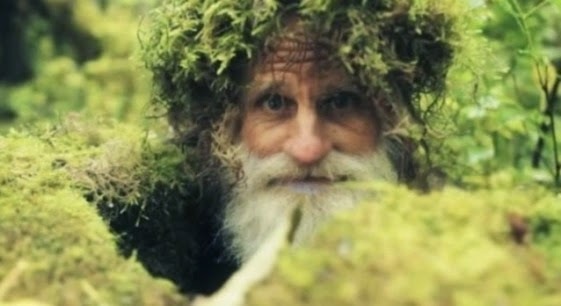 For Mick Dodge, his dynamic transformation from living what modern society deems ‘appropriate’ came 25 years ago. He decided to ditch his shoes, grow his beard, and leave his family and all rest in modern civilization to live alone in the Pacific Northwest’s Hoh rain forest. 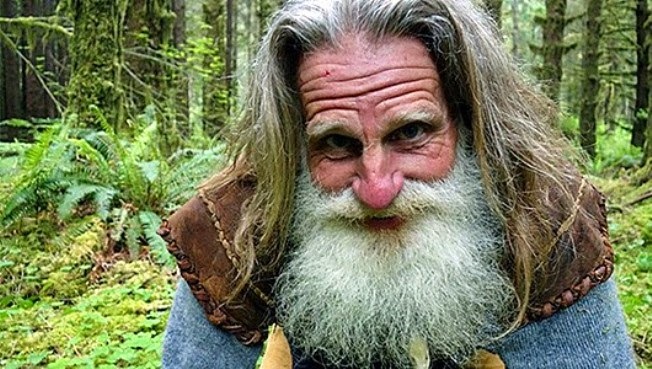 But he is not a complete isolationist; he joined a community of mountain dwellers and agreed (with some persistent effort from producers) to be the subject of National Geographic’s series "The Legend of Mick Dodge". Mick Dodge: Yes, as a heavy equipment mechanic. I have also dug ditches, chopped wood, washed dishes, and taught the Earth Gym practices. I graduated Kubasaki High School in Okinawa, Japan. Never been to college, but like to read books. If the book makes sense and has value for the earth, I plant a tree and share the book. If the book does not make sense,I plant a tree for it and use it as [toilet] paper or fire starter. My life was about the same as it is now, learning the ways to walk and explore physical exercise and how to create a physical practice that finds the middle ground between the wild and tame, between the gated wild and the walls of modern domestication. However, I must add that I have no feet pain, back pain and my heart is strong [since] I became a barefoot nomad. On one of my long running quests in my bare soles into the highlands of the Olympics, I was taught a lesson by the mountain. It was early winter. The snows came and I almost lost my toes. I had no footwear with me. It was a 30-mile walk out.